If nuisance birds have recently settled on your property, you might not have realised the true extent of the damage, harm, and general disruption that they can cause. 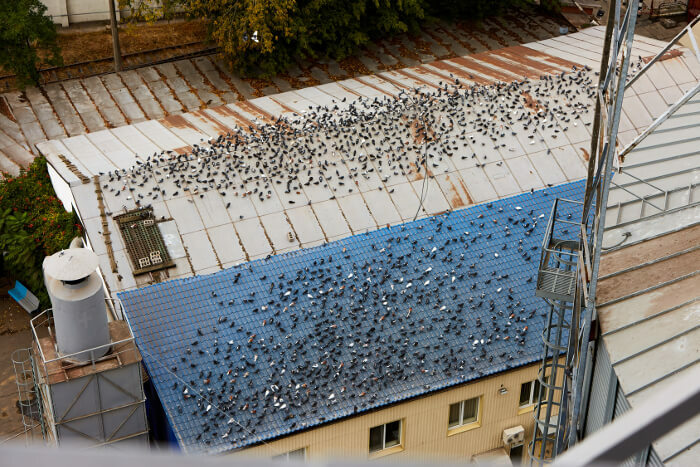 From disease to noise, structural damage, and even slip hazards, having a colony of birds establish themselves on your property will lead to a series of headaches. In this blog, we will outline exactly what you can expect from troublesome pigeons, seagulls, starlings, along with any other winged menaces. What Problems Will Birds Cause on My Property? In order to make sure that your property remains safe for human activity, you will need to have the birds moved along, and their mess cleaned up. Structural/Aesthetic Damage: Bird activity will lead to a number of costly repairs so long as they continue to exist on your property. For starters, not only do bird droppings look unsightly and unhygienic, but they are also incredibly acidic. This means that the droppings will at best discolour whatever surface they land on, and at worst cause significant structural problems. Roofs are particularly susceptible to acidic bird faeces, as they will lie doing continuous corrosive damage. In fact, metal warehouses can have the lifespan of their roof cut in half unless the guano which gathers on top is appropriately dealt with. In addition, when nesting, birds will cause damage to buildings as they attempt to break inside in order to find a suitable place to settle. Any gap or hole in the outside of a building can cause a number of issues, including offering an access point for other pests as well as making the inside of the building susceptible to weathering. Aggressive Behaviour: While birds will generally try and stay out of the way of humans, there are a couple of factors which can change this. Firstly, it is becoming increasingly common for gulls to make bold swoops down upon passers-by in an attempt to steal their food! While it is tempting to find this amusing, it can be very distressing for people who will then associate this unpleasant experience with your place of business. The real problem, however, comes during hatching season. When gulls and pigeons are protecting their young, they can become hyper-aggressive and will attack seemingly at random just to make sure that people steer well clear of their young and to send out warnings. The only way to address this is to employ professional bird control to make sure your property is free of birds and their young. 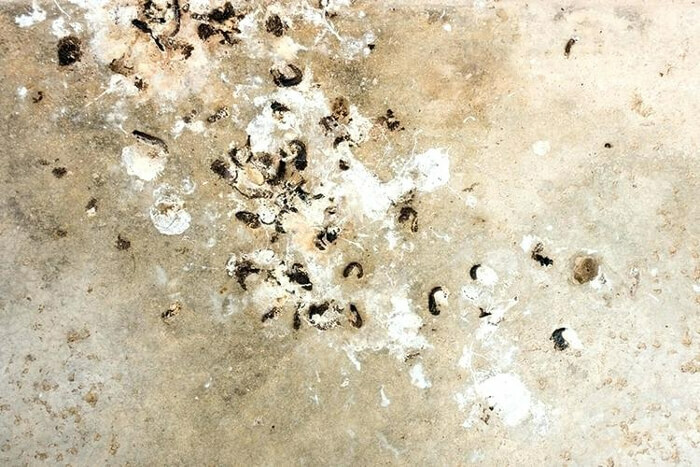 Slip Hazards: Over and above the aesthetic and structural problems which bird droppings can cause, they can also cause real health and safety problems when it comes to slipping hazards. As the number of birds in and around your property increases, the chance of someone slipping on their droppings increases exponentially. Cleaning up the mess as you find it will not do the job; you have to make sure they are gone from your property entirely. Noise: The rabble that just a few gulls or roosting pigeons will make can be irritating. However, the noise that a large colony of birds can be absolutely unbearable. It can utterly ruin a shopping or dining experience, it can spoil the potential of a pleasant night in a hotel, and it can annoy workers to the point of absolute distraction. It is difficult to appreciate just how noisy the constant screeching that a sizeable bird colony can make, but we can assure you it is far from unpleasant. At Clark Pest Control, we deal with nuisance birds quickly and effectively using a combination of our extensive experience, vast knowledge, and industry-leading equipment. With an arsenal of practical and versatile techniques, we are able to reliably deal with bird problems of all kinds regardless of their severity. In addition, it is vital that you seek out certified professionals like us when you are dealing with large amounts of guano or bird debris. While cleaning up small amounts every here and there will likely not do you any harm, but there are strict safety precautions which must be taken when you are dealing with a significant accumulation. In order to talk with our operators immediately to arrange a survey, job, or maintenance, call us now on 0800 808 5615. Alternatively, fill in our contact form and one of our personnel to discuss what we can do for you as soon as we possibly can!